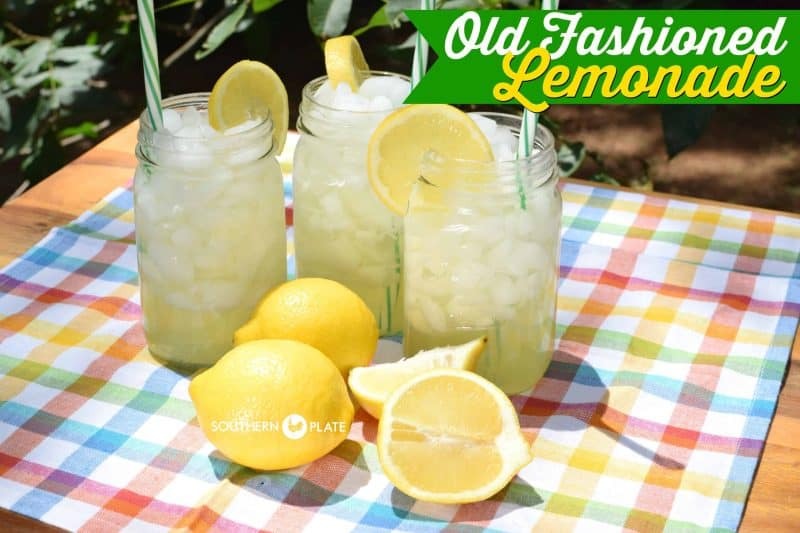 Whenever you see old fashioned homemade lemonade where I’m from, it’s usually served out of an old pickle jar and stirred with a stick! This is a staple in the South for summertime, along with iced tea. It’s pretty served with a slice of lemon on the side (if you have it) and that also allows those who like it a little more tart to customize things a bit. There is nothing like the perfect blend of sweet and tart on a hot summer day! If you wanna dive right into the recipe, hop down to the next picture. If you want to visit a spell and hear what’s been on my mind, keep reading. Why do we feel this way? It’s simple, because we only see our own insecurity and issues while everyone else around us seems to be “together” on the outside. Did you ever stop to think that you probably seem to have it together to them, too? So today I just want to let you in on a little secret that you may already know or you may need reminding of: No one has it figured out. We are all just walking around with varying degrees of poker faces. Sometimes those poker faces help give others needed confidence and assurance. Sometimes, our poker faces make others feel alienated and inadequate, so it’s important not to hold too tightly to them around those closest to us. At the end of the day, though, I may not have it all figured out, but I’m being guided by someone who does, and for me, that is the key. My job as a parent is to make sure my kids know not to look to people who are just as lost as they are for answers when a problem arises, but to dip their bucket in a deeper well instead. Life is full of lemons but when if you take those lemons and have the wisdom to know what to add, they sure do make for some delicious days. Now let’s make us some lemonade. To make this you’ll need lemon juice*, sugar, and water. It’s that simple. The trick to making this a good, old fashioned and smooth tasting lemonade is in the next step. *If you woke up with it on your heart this morning to juice fresh lemons, please do so. If you decide to make this old fashioned lemonade with bottled juice like I do and have one of those friends who looks down their noses at it because you didn’t use fresh lemons, tell them you were trying to help the bottled juice recover from the cruel rejection suffered at their hands. It’s all about balance :). First, place a cup of water and your sugar in a medium sauce pot. Bring this to boil (or close) over medium to medium high heat while stirring constantly. I’m not kidding about stirring constantly because if you don’t your sugar will scorch and your lemonade will be bitter, just like how iced tea is bitter when folks pour the hot tea directly over the sugar. We do not want that! Once all of the sugar is dissolved it will become clear again, at this point you can take it off of the heat. The main reason for it cooling is that if you are mixing it up in a glass pitcher and pour the hot syrup in, it might cause the glass to break. We just get around that by adding a few inches of cold water in our pitcher first, and the lemon juice, then pour in the syrup and give it a good stir. From there, add enough cold water to fill your pitcher and VOILA! Lemonade. See how easy it was to take something sour and make it sweet? Life lesson there. It’s all in what you choose to stir in. Stir in anxiety and drama, it gets more sour. Add in a little positive perspective and good attitude, it becomes lemonade. 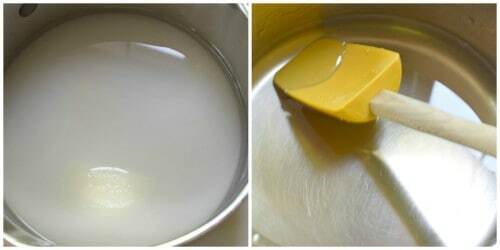 Combine water and sugar in a medium saucepan and bring just to a boil over medium high heat, stirring constantly, until all sugar is dissolved and mixture is clear. Fill a 2 quart pitcher with cold water to a depth of 2-3 inches. Add lemon juice and sugar water. Stir. Add enough water to fill pitcher the remainder of the way. Serve over ice and store any remaining lemonade in the fridge. Love lemonade and it is one of my favorite things to make in the summer. Everything gets a little better with a little positivity. Thank you for putting a little perspective into my life today. I have been feeling very overwhelmed with all things in life and found myself looking at others thinking they have it all together and wondering “what am I doing wrong?” Thank you helping me to see things a little more clearly. Hey Melissa!! I totally feel ya, been there, go back there on a regular basis ;). thanks for being here, I sure do appreciate you. Hang in there, You got this! I love lemonade, and I used bottled lemon juice too! Just this very week I let both of my kids, (9 & 10) make iced tea by themselves. I could hear them reciting the instructions to themselves, “don’t pour the hot tea over the sugar, it burns it”. Made me smile to hear that. I too have been guilty (a lot) of always thinking others had it together, and I didn’t. Now that I’m older, and let’s face it, when I remember, I know that it’s not true. I just have to remember what my Momma taught me, “This too shall pass”. Applies to everything in life giving you fits. I love lemonade and have no problem using jarred lemon juice. Will Splenda hold up with boiling it? I try using it whenever possible. I was just wondering the same thing! Maybe 1/2 and 1/2? I was wondering the same thing except now I use Stevia. It has less aftertaste. THANKS YOU,GOOD SOUTHERN LEMONADE.GOD BLESS. Honey, no one ever has it ‘all together’. Some of us are just better at pretending. Hi, love “real lemonade”. I am going to try it this way, I have never made it like this before. Now, as for the topic of the day…lol, I totally agree with Ruth Duncans’ comment… ” No one ever has it all together, some of us are just better at pretending”. Yes it sure does seem like that and maybe I am even jealous sometimes, and yes I admit it at least. I guess it just seem like some people just don’t deserve it and others work their butts off , well you know what I am getting at I think. Anyway, I am going to make some delicious lemonade. Have a fantastic day. Thank-you so much for the recipe, I just printed it off. I know this is going to sound silly but how do you make pink lemonade? I know that conversation well Bo!! LOL, I like the way you think Steve!! when you were your son’s age, did you ever think that you would be saying “as a mother of a teenager”? Hi Christy love lemonade on a hot day. I have a small problem I wonder if you could help with please. 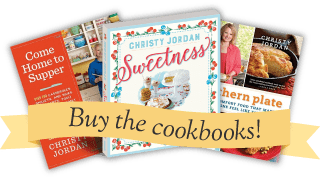 I subscribed to Taste of the South back in April but have yet to see a copy of the magazine i was wondering if you could get a phone number for me as I can not use the 1800 number from Australia. I am looking forward to my magazine arriving as I want to see your column in there and know that it will have good easy to follow recipes that do not have lots of complicated ingredients. Here in Australia our magazines are printing recipes that are more suited to a top chef rather than a home cook , so I do not buy them any more. Some where in the bible it tells you to keep your eye simple and I believe that goes for all aspects of our life . So no fancy food for me. I’ll have to swing by there and try some and let ya know! 🙂 YUM! Could you heat the water in the microwave and then add the sugar and stir till dissoved? That is how I make the “juice” for my hummingbird feeder. I thought it might work for this and is easier than the stand and keep stirring version. You can tell I have little patience. I’m there with ya! A microwave would work beautifully for this. Just heat, stir, heat, stir, until it is clear, no worries! This turned out so fantastically delicious! We had chicken and cornbread bake for dinner and this lemonade was the perfect drink to go with it. I think I’ll be making this often this summer. Thanks! I am so glad you liked it Christine!! Just love the lemonade, so good and refreshing! Thanks Christy! Love the lemonade. It looks beautiful and refreshing. And I agree with you, no one has it figured out. Those who think they have are probably just fooling themselves. But I’d rather think that despite the confusion and cluelessness, there’s someone up there who is steering us in the right direction nonetheless. 🙂 I like the way you think Joshua! 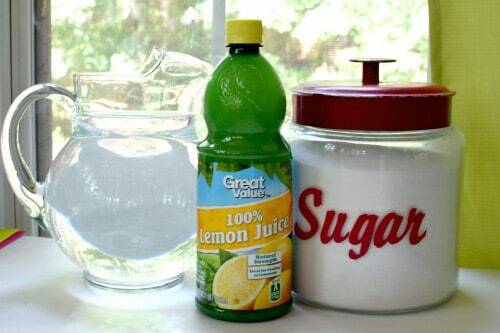 Have you ever tried the lemonade using a sugar substitute such as Splenda. I am diabetic and cannot have the sugar version but I love lemonade!! Thank you for your time. I assume 1-3/4 sugar means cups of sugar? I have some wonderful memories of Vacation Bible School with big galvanized buckets of fresh made lemonade. One day it would be lemonade, the next would be watermelon. Good memories. Years ago I rented a crystal punch bowl and made up a punch that used Kool-Aid stirred into boiling water and then mixed with other things in the bowl. I poured that hot liquid into the rented bowl and heard a little “pop.” Yes, the bowl had split. Mom told me to put a metal spoon into the bowl first, then pour in the hot liquid. It worked! And has worked every time, ever since. Great tip, thank you (and your Mama) for sharing it with us!! I want to make this for my son’s grad party and make a large batch to have sitting out for people to drink. I see it says put it in the fridge so will it be ok left out for a few hours at room temp. ?